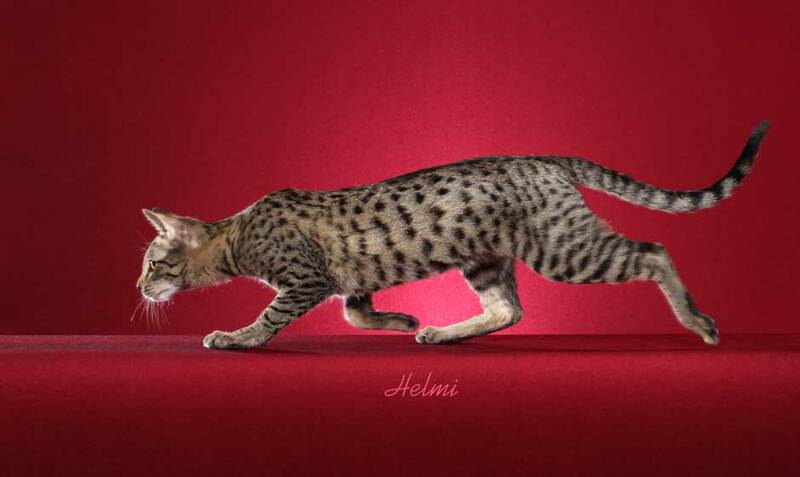 Just over a year ago we decided to get a kitten to compliment our home...we have a 19 year old female Bengal...After much searching, my wife came upon a website for Agato Savannah Cats...that was the start of what we believe will be a lifetime friendship with Paige Dana. Paige was very professional in all our dealings prior to adopting our cuddle bunny.."Genny"..she answered all our questions and concerns and with her undoubted expertise, offered valuable advice whenever we asked for it. We have a wonderfully natured, loving kitten who is a credit to Paige. Finally I must add..How many breeders would have driven our new addition from New Jersey to Massachusetts.. Thank-you, Thank-you Paige, one of the best decisions we have ever made!!! being someone who sells you a pet. me and check in, and if I need anything is always there to help. I’ve had Orion for a little longer than 3 months now and aside from the probability that he is literally the best Savannah in the world, he has proven to be such an amazing and loving creature. His personality is outstanding and he loves anyone and everyone in whatever room he may be in. He gets along with people and other animals alike. Paige raised a beautiful healthy kitten that just wants to share his love with everyone else. He is just such a pleasure to have around and I couldn’t feel any luckier to have him. Inara is by far the sweetest and most wonderful kitten I have met and I am so proud that she is mine! She is incredibly well socialized, and loves to be held and cuddled. She has been sleeping in bed with us since she first came home and will often curl up in my lap while I'm watching TV or using the computer. She is so smart and is a play machine! We play fetch like crazy and she often begs me to play with her, tapping my arm if I don't throw her toy fast enough :) My favorite thing about her is how loving and fun she is. She will come up to me and rub her head against my face and purrs like crazy. She is so affectionate and is a joy to have in our lives. We couldn't have asked for a better kitten! Thank you! We went to NJ in December 2012 to pick up Agenor at Agato Savannahs from the Netherlands. We were very happy to see how well he was socialized - he is such a sweet boy. He is nice to us and gentle to our other cats, never using his claws. He loves to play and talk! With Agenor around, you are never alone! Agenor is a strong, healthy and lovely boy. We are very happy with him. One day home and Dracos is doing great! And is literally laying in my arms sound asleep and purring! Speaking of which its a little hard to type this! Hahaha. I will keep u posted!!! And thank you so very much! We just love Poseidon and couldn't be happier with him. He has been sleeping with us from Day 2 and now happily plays with our Bengal and Pug. We cannot thank you enough for him - he is so loving and sweet and perfect! Close toilet lids and be conscious of leaving an unattended kitten near a full bathtub or a sink full of dish water to avoid possible drowning.